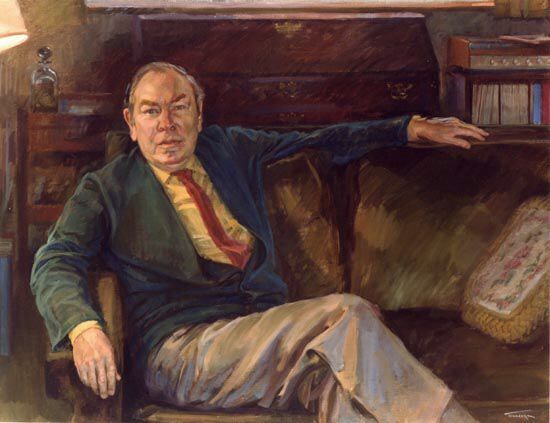 Gerald Moore CBE (30 July 1899 – 13 March 1987) was an English classical pianist best known for his career as an accompanist for many famous musicians. Among those with whom he was closely associated were Dietrich Fischer-Dieskau, Elisabeth Schwarzkopf, Victoria de los Ángeles and Pablo Casals. In 1921 Moore made his first gramophone recording, accompanying the violinist Renée Chemet; they made several more recordings together, but Moore’s preference was for accompanying singers rather than instrumentalists. 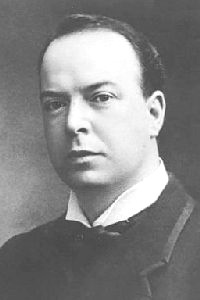 He recorded frequently with Peter Dawson in the early 1920s, and went on a recital tour of Britain with him; it was Dawson who recommended him to the tenor John Coates, who became an important influence on Moore’s career. Moore credited much of his early success to his five-year partnership with Coates, whom Moore credits with turning him from an indifferent accompanist into one who was sensitive to the music and the soloist, and an equal partner in performance. By the end of the 1930s Moore was so well known as an accompanist that Myra Hess invited him to give a talk about his profession at one of her of lunchtime concerts at the National Gallery. The pianist Joseph Cooper wrote of this, and later similar talks, “He revealed a sense of verbal timing of which any professional comic would be proud. His unique blend of wit and wisdom not only pleased the cognoscenti but also won over ordinary people who had no idea that classical music could be fun.” Moore’s first book, The Unashamed Accompanist (1943) had its origins in these talks. 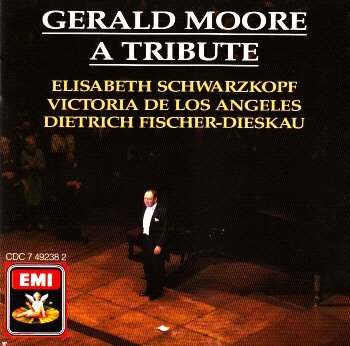 Moore retired from public performances in 1967, with a farewell concert in which he accompanied three of the singers with whom he was long associated: Dietrich Fischer-Dieskau, Victoria de los Ángeles and Elisabeth Schwarzkopf. This famed concert at London’s Royal Festival Hall – recorded by EMI and reissued in 1987 – concluded with Moore playing alone—an arrangement for solo piano of Schubert‘s An die Musik . He made his last studio recording in 1975. Moore was appointed a Commander of the Order of the British Empire (CBE) in 1954. He died in Penn, Buckinghamshire in 1987. Where can I find the transcription of AN DIE MUSIK by Gerald Moore? The short answer is that I don’t know, but you might check with a large sheet music outlet. But it is unclear whether what is referred to is a transcription, or simply the piano part played alone.